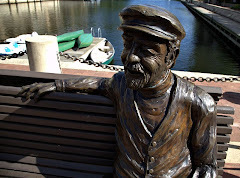 From its earliest days, Reston has always been the focus of media attention, as these old-timey things called "magazines," from Newsweek to Life to Ebony, sent these old-timey people called "reporters" to visit our earth-toned community and write deep think pieces about What Town Houses Not In Towns Really Mean while burning through their expense accounts with three-martini lunches. But once our favorite earth-toned community was featured in the publication of record for the under-12 crowd, we knew we had arrived. 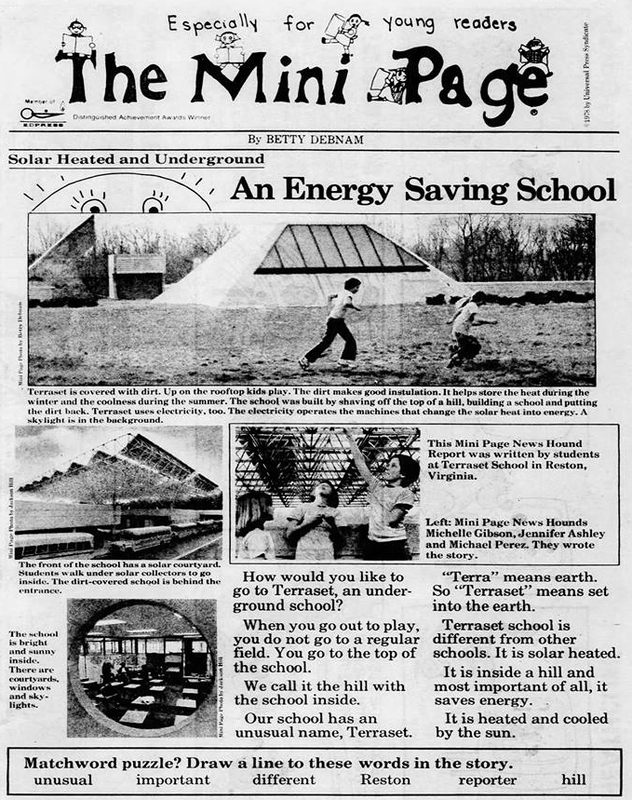 The Mini Page, everyone's favorite publication of U.S. energy policy and macroeconomic analysis, hit newsstands in the midst of the energy crisis of the 1970s with a blockbuster scoop: AN ENERGY SAVING SCHOOL. And yes, it featured Terraset Elementary, our now-excavated underground school. How would you like to go to Terraset, an underground school? When you go out to play, you do not go to a regular field. You go to the top of the school. We call it the hill with a school inside. Our school has an unusual name, Terraset. "Terra" means earth. So "Terraset" means set into the earth. Terraset school is different from other schools. It is solar heated. It is inside a hill and most important of all, it saves energy. It is heated and cooled by the sun. Not only is it energy saving, but when the DPRK launches its nuclear-tipped ICBMs, all Reston residents can take shelter in Terraset. Winning! They never actually let us play on the roof.